The summer has begun, and you still have to find your holiday home on the Adriatic? No need to worry. You can still find rooms or villas where the summer heat will be kept at bay, and our brief guide to the Kvarner islands can help as well. The summer has begun, and you still have to find your holiday home on the Adriatic? No need to worry. 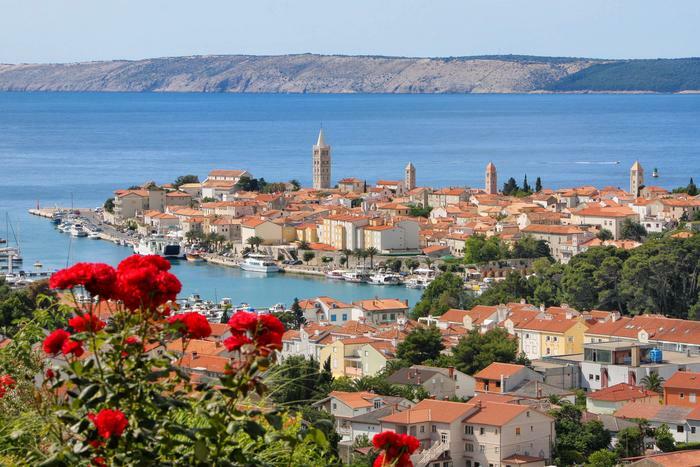 You can still find rooms or villas where the summer heat will be kept at bay, and our brief guide to the Kvarner islands can help as well. The island of rock, salt, lace, lamb, and more increasingly of parties. Zrće beach is a real factory of fun, where thousands of young people from the world over flock each summer. 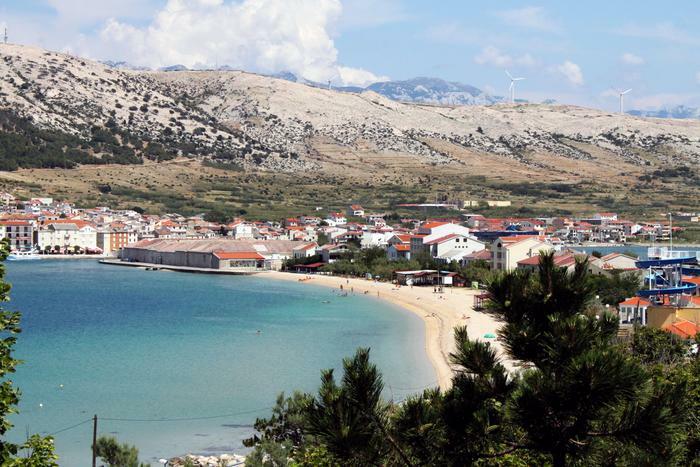 However, the 270 kilometers of Pag coastline offers the more traditional summer attractions as well - restful solitary coves, trekking on the famous "Moon surface" of the island's limestone pavement, home-made specialties made with home-grown delicacies, and the cultural relics of sunken ships and cities from antiquity. Pag can be a fantasy island, island of solitude or an island of wild summer parties - there is something on Pag that is perfect for you. Rarely will you have a chance to interrupt an evening town walk to watch knights jousting. On Rab you are also likely to meet crossbowmen - pick your knight and cheer on him loudly, keeping the 700-year-old tradition alive. Aside from the medieval, another tradition fostered on Rab is that of nudism. It is often called the birthplace of "skinny dipping", and the first person allowed to appear on public beaches without clothing was the british king Edward VIII. Sahara, Stolac and Ciganka are the most popular naturist beaches, while those who do bring swimsuits with them when they go on holiday will have a chance to explore 19 other beaches in the sandy paradise around Lopar town. The island which is tied for first place with Krk in the list of the largest Adriatic islands offers its guests moments of perfect relaxation. One of Croatia's premier destinations retains its untouched nature despite the numbers of visitors which crowd it each year. Perhaps the best proof of this is the Blue flag, an award which recognizes the cleanliness of water and environment. 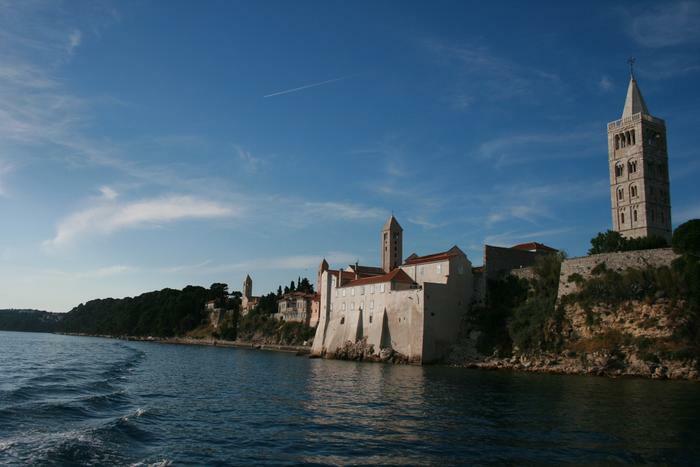 As many as fourteen Krk beaches have been given this award for several years successively. 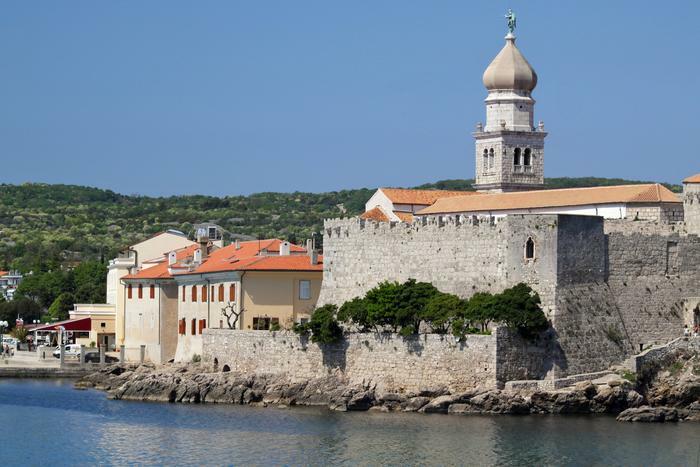 In addition to nature, cultural monuments nearly a thousand years old have likewise been preserved all over Krk. This cradle of Croatian literacy is the birthplace of the Baška tablet - the oldest written monument in Croatian language. The Biserujka cave is another keeper of past secrets, with its recurrent legend of buried pirates' treasure.